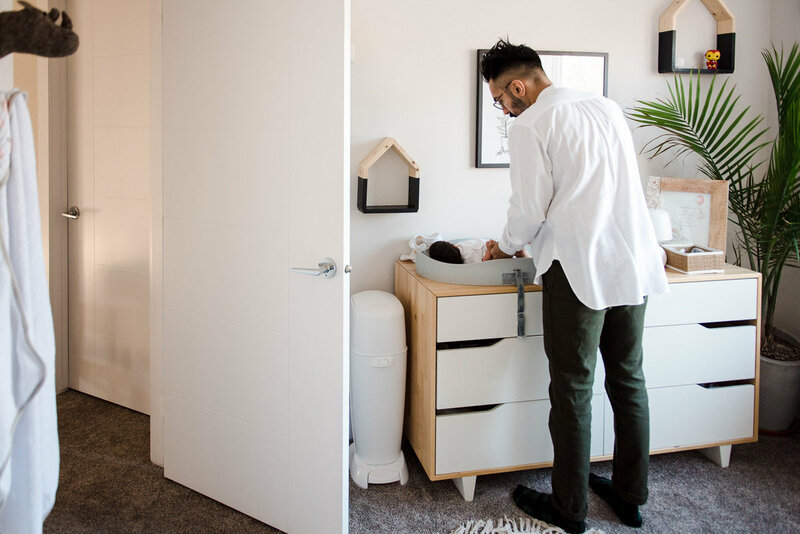 My hope is that one day baby Felix will look back on these images from his lifestyle newborn photo session and will see that he was surrounded by such love from the moment he arrived. I’m talking about heart melting love from his 3 older siblings and his super calm parents. He has 2 brothers who are clearly smitten with him and are ready to show him all the things a little boy needs to know. And his sister – it’s easy to see already that the tender love she has for him is going to lead to her being his fierce protector. Photographing a family is six is no easy task, but it’s also incredibly fun. There is NEVER a dull moment and we go through the couple of hours together without ever stopping, which results in such a beautiful variety in a gallery. While Felix had his moment in the spotlight, his siblings played, ate crackers and watched a bit of TV. Then they each had their turn to cuddle Felix, hang out all together as a family and set up a pretty epic train track in the living room. The whole session is kept really casual so that nobody gets tired of sitting and yet each special bond is still captured. Below is Felix’s slideshow, followed by a few of my favourite still images from this Edmonton newborn photo session. Thank you R + J for inviting me into your home and allowing me to capture this special time for you. Did you know that each session has such a different vibe? 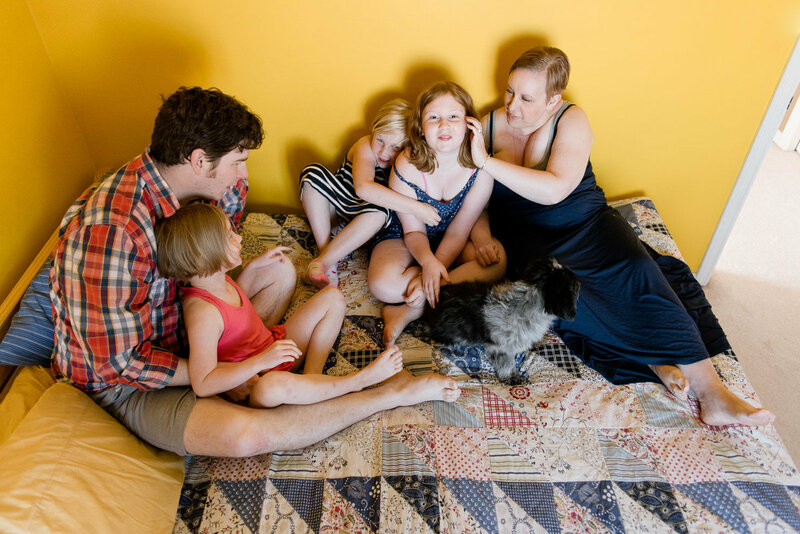 Check out this session with a family of 6 that was equally as busy, but also so different. 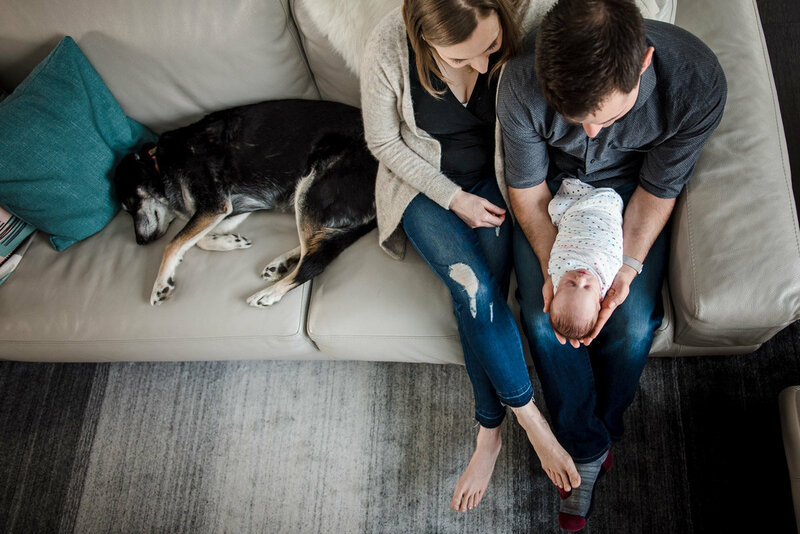 Fiddle Leaf Photography offers in-home lifestyle newborn photo sessions in Edmonton and all surrounding areas, including Sherwood Park, Fort Saskatchewan, St. Albert and Spruce Grove. Sessions are casual and relaxed, and tailored for your family, regardless of how big or small it is. Expecting? Shoot me a message today and we’ll figure out how to make beautiful art out of this special time in your lives.